FREE SHIPPING! 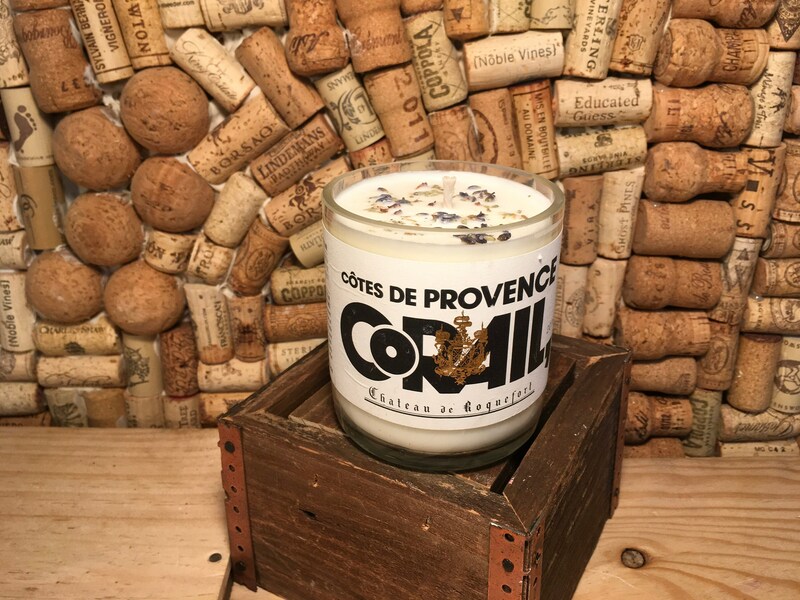 Corail Cotes De Provence wine bottle upcycled into a Soy candle this is our Lavender Eucalyptus scent. 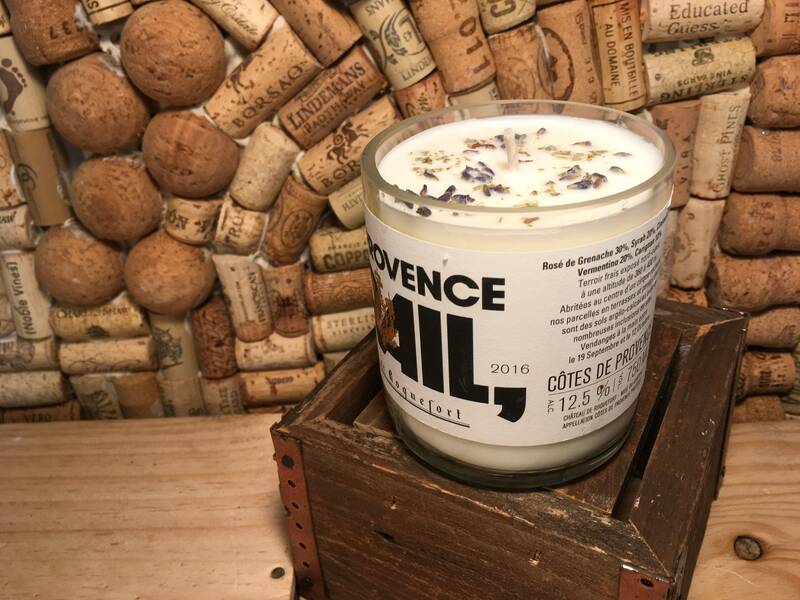 This fragrance is a blend of French Lavender and Eucalyptus oils. We use a French Lavender which is a little heavier than the regular lavender. We find it makes for a better scent throw in our candles. Mixed with eucalyptus it is very invigorating! 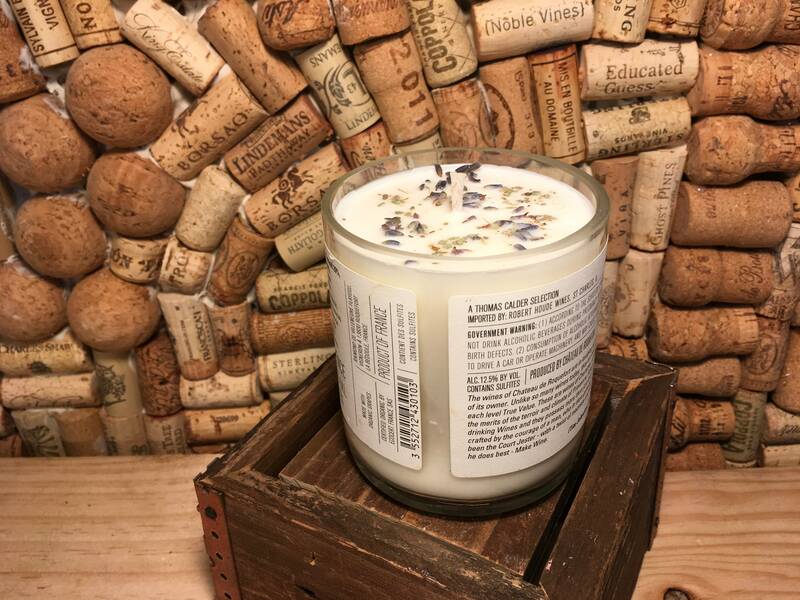 There are dried eucalyptus leaves and dried lavender flowers on the top of this candle. We ship on Monday and Tuesday. If you would like to pay for expedited shipping please message us to find out availability. Thanks!